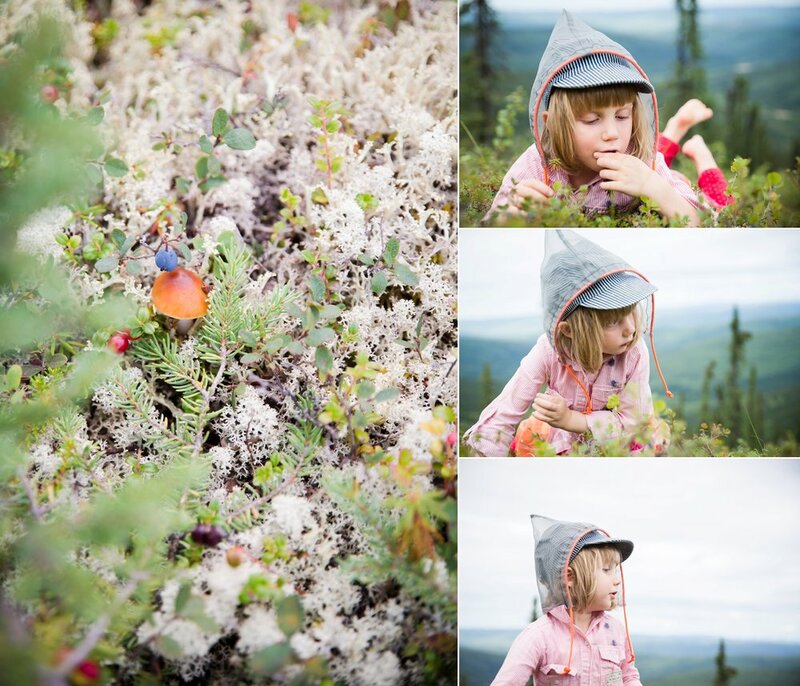 Last year, my friend & client Somer posted a photo of her then-three-year-old daughter berrypicking. Birdie is pretty darn cute, but something else about the picture really caught my eye. What was she wearing? Somer had Bidie and also Sam, her then-one-year-old, in homemade garments - button-down shirts that she had outfitted with DIY mesh drawstring hoods. The shirts' brilliance was immediately apparent: the hood was essentially a modified, easy-to-wear, tantrum-free mosquito net. Birdie happily picked away, unbothered by the swarms of bugs. I immediately asked if Somer would make one for my little girl. And it turns out, I'm not the only one who immediately zeroed in on the amazing potential of this invention; every time we saw them berrypicking or otherwise out and about last summer, Birdie and Sam's bug-free shirts acted like a magnet for parents who want their kids to love the Alaskan outdoors ...without a million red welts per outing. I get the impression Somer was getting requests to make them left and right. And thus, Bug-Free Babes was born. And we took some pictures. There's nothing I love more than working with other local micro-businesses. Especially when they keep bugs off my kids. This coming summer (2017), Somer will be holding occasional Pop-Up Bug Boutiques around Fairbanks where she will sell her pre-made shirts, and she will also be accepting custom orders for infant, child, and adult size hooded shirts (you supply the shirt, and she'll do everything else)! To stay apprised of her pop-up schedule or to submit a custom order, keep up with Bug-Free Babes on Facebook and Instagram.